I enjoy teaching and have many years experience in giving workshops and masterclasses in fingerstyle guitar at festivals, summer camps, music schools and cultural events throughout Europe and North America. I’ve had the pleasure of conducting these at establishments and events such as The Stamford International Guitar Festival UK, Ullapool Guitar Festival Scottish Highlands, Chet Atkins Appreciation Society Annual Convention Nashville USA, Moffat Master Classes Scottish Borders and the famous Old Town School of Folk Music Chicago USA ( I learnt to my amazement that Big Bill Broonzy and Woody Guthrie used to hang out there in the 1950’s). In addition I’ve presented seminars, workshops and master classes in conjunction with some of the greatest pickers and teachers around including Duck Baker, Eric Lugosch, Woody Mann and John Goldie and in 2013 I conducted a weekend long workshop in song accompaniment with British folk legends Maddy Prior and Rick Kemp as part of Maddy’s Stones Barn events in Cumbria UK. My approach to playing the guitar covers a broad range of genres available to the fingerstyle guitarist. In concert these can include Folk music from British Isles and North American Traditions, Celtic music, Classic ragtime and ragtime blues, early jazz, swing and stride. Contemporary composition and modern sounds, early classical pieces, baroque and renaissance music. 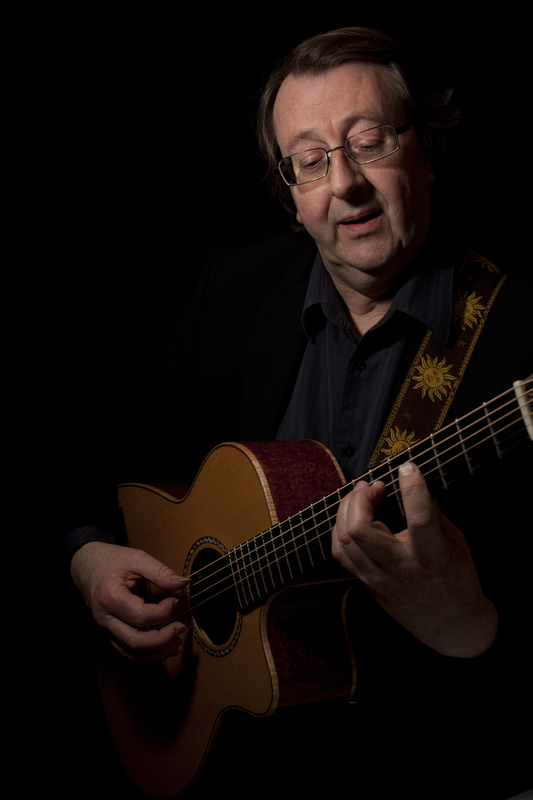 I am pleased to offer workshops and masterclasses in fingerstyle guitar to groups ranging in size from just a few students to a maximum of 30 per class and from beginners to advanced players. Groups of mixed level of ability and experience are most common at these events and I can often tailor the workshops to each, taking into account individual needs and expectations. Duration can be from just a couple of hours to half a day, full day or full weekend programmes. Subject areas can be broad or singular, a few examples might be traditional fingerpicking techniques in folk, ragtime and blues styles, accompanying a singer, open tunings or arranging pop songs for solo guitar. Acoustic guitars only (steel string or nylon). You do not need to be able to read music or guitar tablature (TAB) to attend, although a knowledge of TAB is helpful. TAB handouts usually given for students to take away. Personal recording devices are usually welcome. Language will be English. For rates, times and further information please contact Steve Hicks directly.